Dr Kutarna is an emerging public intellectual with an international profile. He was named a ‘Global Top Ten Speaker on the Future of Work' by London Speaker Bureau in 2018, and his writing has appeared from The Guardian to TIME Magazine to Vogue. His work has recently been endorsed by decision makers and opinion shapers including Arianna Huffington, Sir Richard Branson, and Christine Lagarde. 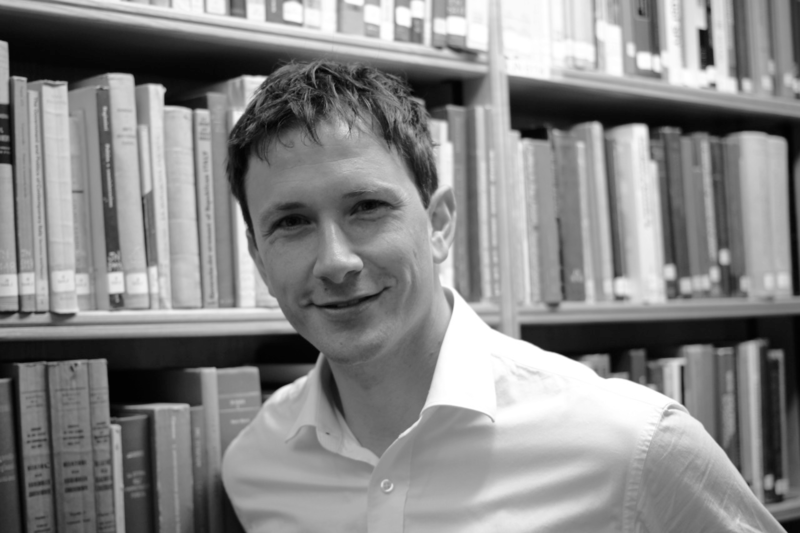 Dr Kutarna is visiting Monash to work with Head of Monash Human Geography Associate Professor Alan Gamlen on a book with the working title ‘Post-truth migration politics'. The aim of the book is to chart recent moral panics about migration and diversity, and show how they relate to long-term shifts in the geography of politics in liberal democracies, and in the geopolitical rivalries between democratic and authoritarian regions of the world. Associate Professor Gamlen said Monash Human Geography is thrilled to tap into Dr Kutarna’s enthusiasm for tackling big challenges using an interdisciplinary frame of reference. “Geography has always been an important venue for this kind of integrative, mind-broadening research, and in a period when many are advocating interdisciplinary but few are practising it, that is a great disciplinary strength. Having someone like Chris here helps build on that,” Associate Professor Gamlen said. Dr Kutarna, a long-term colleague of Associate Professor Gamlen, said he is excited to be collaborating with Monash Human Geography. “Melbourne and Monash are ideal platforms from which to get a sense of the global shift from the Atlantic to the Pacific, and to understand how diversity is viewed in liberal democracies with different migration histories,” Dr Kutarna said. Dr Kutarna is co-author of Age of Discovery: Navigating the Storms of Our Second Renaissance, a best-selling book published in eight languages by Bloomsbury and St Martin’s Press. It has been favourably reviewed by The Guardian, The Financial Times, and The Economist, and has received rave endorsements from global thought leaders including Nobel Laureates Michael Spence and Edmund Phelps, Harvard historian Niall Ferguson, Philospher AC Grayling, and UK Astronomer Royal Lord Martin Rees. A historical survey of the parallels between the disruptions of our own era and that of the European Renaissance of the 15th and 16th centuries, the book delivers the message that, despite the turbulence of today's times, it is the best time to be alive in human history. “If we can rise to the challenges of big issues like the politics of international migration, we will look back on this period as a new renaissance, characterised by the flourishing of genius and a revival of a spirit of exploration across many fields of human endeavour,” Dr Kutarna said. Dr Kutarna is visiting Monash Human Geography until August 27.